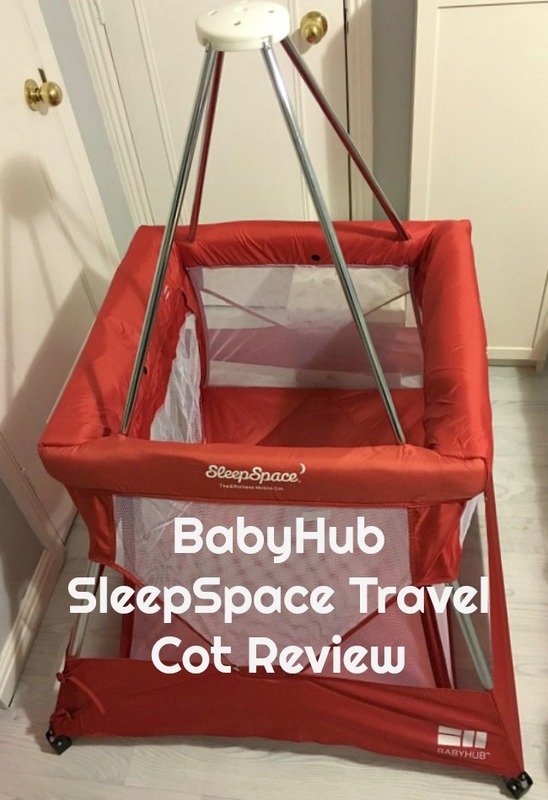 Christmas is such a busy time and I am always so unprepared so I was delighted to be offered the Babyhub Sleep Space Travel Cot to review* as it really got me out of a pickle. I had nowhere for Bee to sleep when he stays over. Bear and Bee will be visiting with Mummy and Daddy over Christmas and whilst Bear has a bed in his own room I have nowhere for Bee. Previously Bee has slept in his Moses basket but he is now way too big for it. 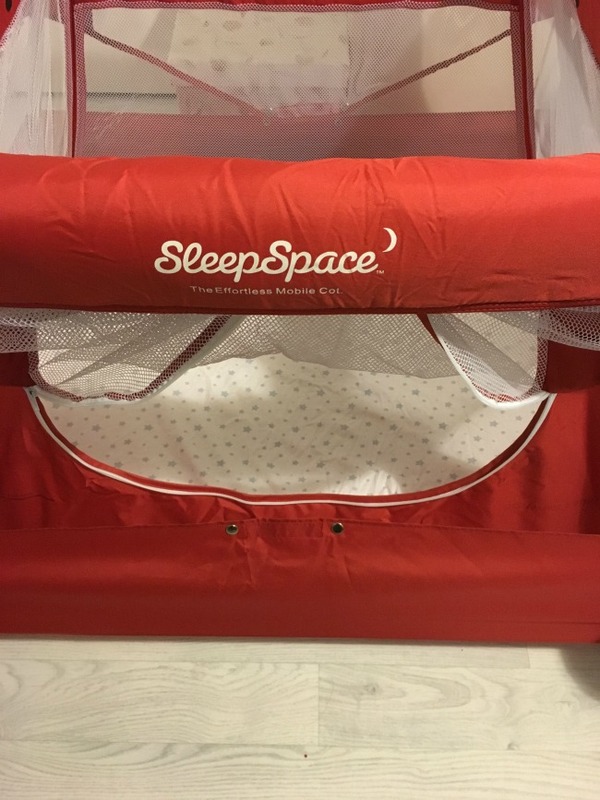 A BabyHub SleepSpace travel cot is the perfect solution for so many reasons. Our spare bedroom is also my home office so I do not want what little room I have taken up by a full size cot. I need something that will pack away easily and, as a bonus, Mummy and Daddy can take when they visit relatives next year. Many travel cots are rectangular with a thin hard mattress. Some manufacturers have concentrated on reducing weight whilst others have ease of use. Rarely do they have both. 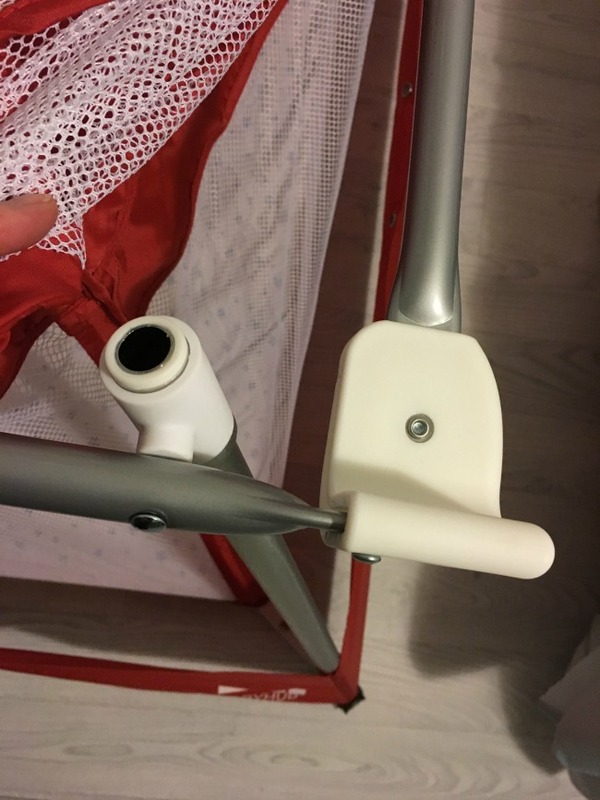 The unique pyramid design of the BabyHub SleepSpace travel cot allows it to be opened and closed with one hand. It is suitable from birth right up until 3 years of age. 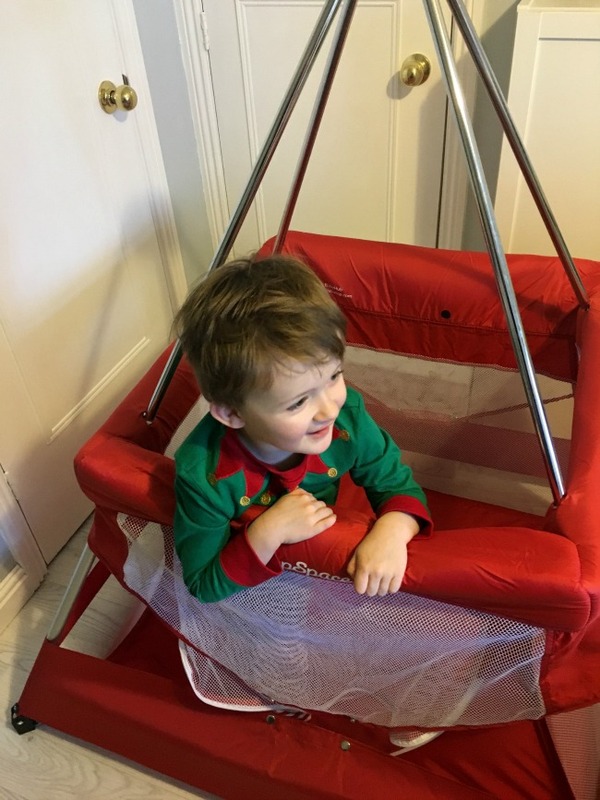 Unlike many other travel cots this is also safe for standing babies. It comes with a mosquito net that just drapes over the frame, ideal for travelling in warmer climates. It would also be perfect for a summers day in the garden or when the bedroom windows are open. 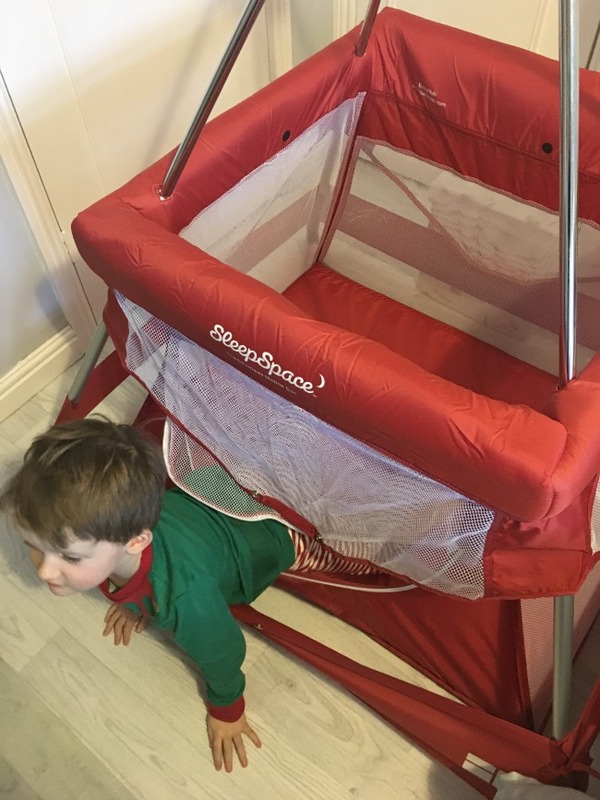 Although not designed as a cat net I am sure it would stop a cat joining the baby for a nap. The travel cot comes all ready to go, no self assembly needed, straight out of it's own carry bag. The frame is fully assembled and the fabric covers are already on. You do not need anything, not even a screwdriver. Straight out of the box the cot is fully assembled with the covers already on. Then lock the hinges, there is one at each side and they are marked with a black dot on the inside of the covers. The instructions state that the cot can be put up and folded away single handed, whilst holding a baby. 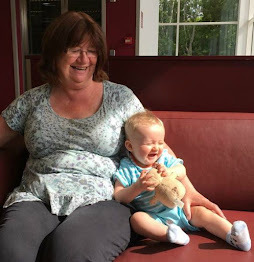 I didn't have a baby with me when I first took it out of the bag so with a teddy under one arm I had a go. It was so easy! I did struggle to find exactly how to lock the hinges the first time but they really are simple to open and close especially after a little practice. I would suggest opening and closing a few times using both hands just to get the feel of it. I found it easier to raise the fabric a little and see the hinges but after a few goes I could do it without looking. I then put teddy to bed. 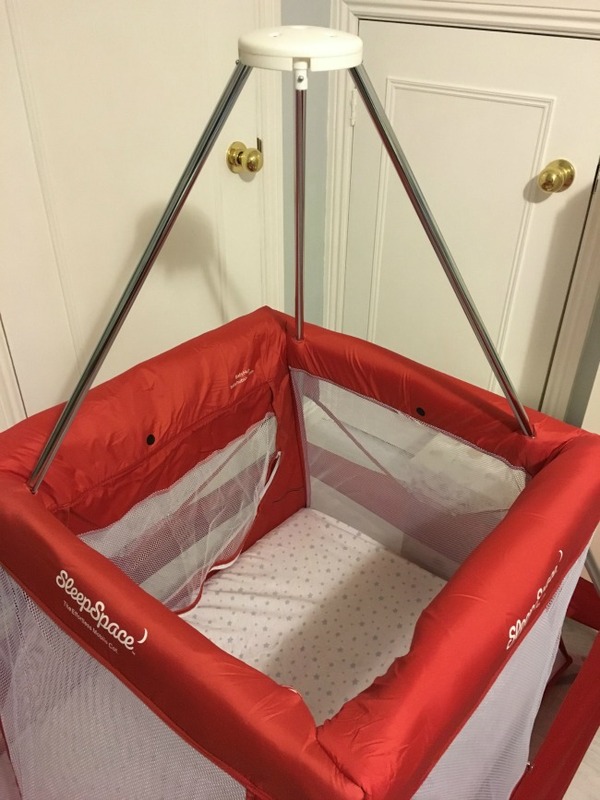 The cot has a zipped side designed to make putting a sleeping baby in or out of the cot easier. I think it would be so much easier than bending over a cot side and trying to slowly place a baby down without hurting my back or waking the baby. 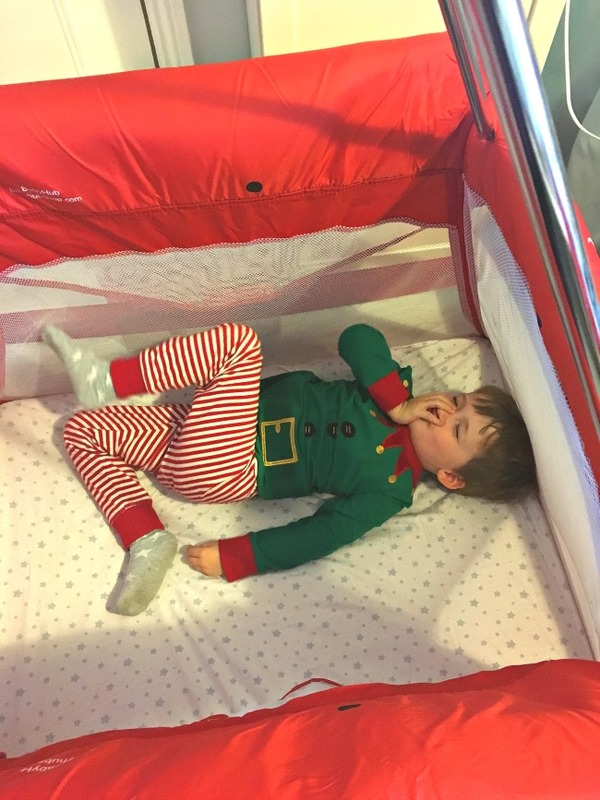 Teddy looks quite content in the BabyHub SleepSpace. The black spot is clearly visible marking where the hinge release is positioned. If you find getting down low difficult, one pole can be retracted to make access from the top easier. I found this a bit fiddly and as the instructions state that a child shouldn't be left in it unsupervised with the pole down I probably won't bother. Close up of the pole fully inside the frame. It was surprisingly easy to pull it out again. The cot comes complete with a separate thick, seamless mattress. Although the instructions state it can be used without, I wouldn't personally put a baby directly on the base as it felt a bit hard to me. Despite the unusual square shape normal cot sheets fit, I only have cot bed sheets and they fitted across but were obviously slightly too long. I asked Bear to test how comfortable it was and to lie down and tell me what he thought. 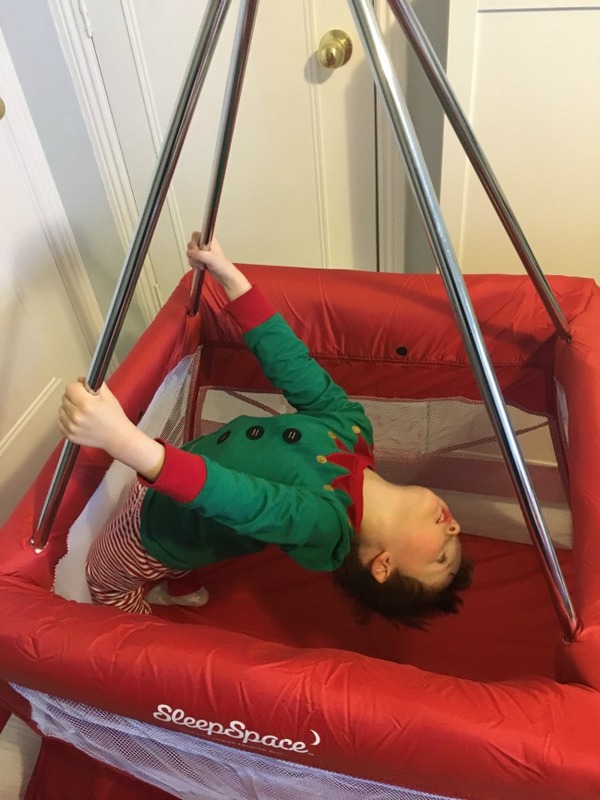 He got very excited and crawled in and out through the zipped doorway, he also decided to hang from the poles (totally against all the safety instructions and despite me repeatedly telling him not to) and finally pretended to sleep. 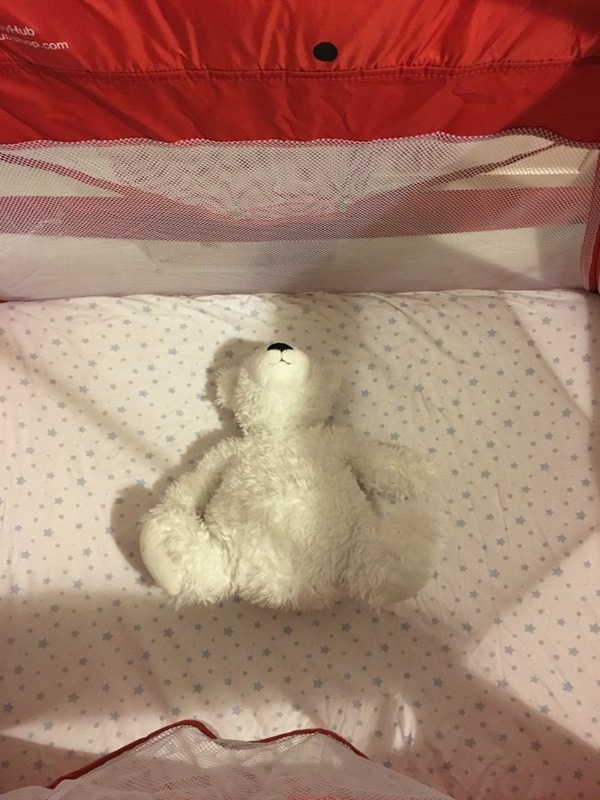 The reassuring thing was not once did the cot tilt or move, despite Bear being at the top end of the age and weight limits. This mischievous elf thought it was "very comf'ble"
DO NOT LET YOUR ELF DO THIS!!! Tepee? you ask, yes Tepee. How many travel cots do you know that turn into a Tepee once the baby is too big for it? Only this one. 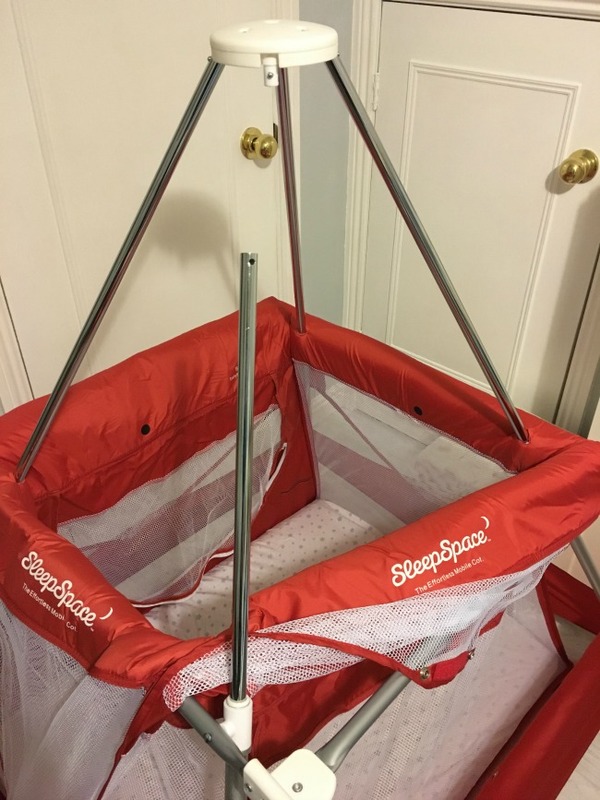 The BabyHub SleepSpace Travel Cot has an optional Tepee cover. It does require taking part of the frame off to place the plain white cover so I would say it could be one or the other. It comes with a padded base to make it all soft and snug. I haven't had a chance to try it yet but looking at the instructions I am sure it will be simple. It is suggested that creative children could decorate their Tepee with washable fabric pens (are you brave enough?). This is the perfect solution for occasional sleep overs. It is great for parents to take with them on their travels or for grandparents to keep for naps or overnight stays. It is practical, stylish, easy to use and the covers and mosquito net are machine washable at 30 degrees. It comes in four colours and costs £169. 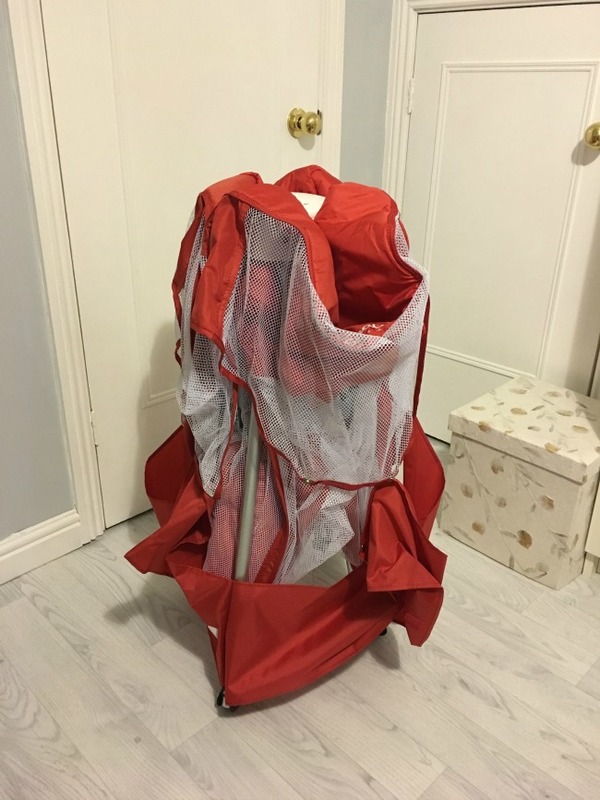 The Tepee cover is an additional £29.99. 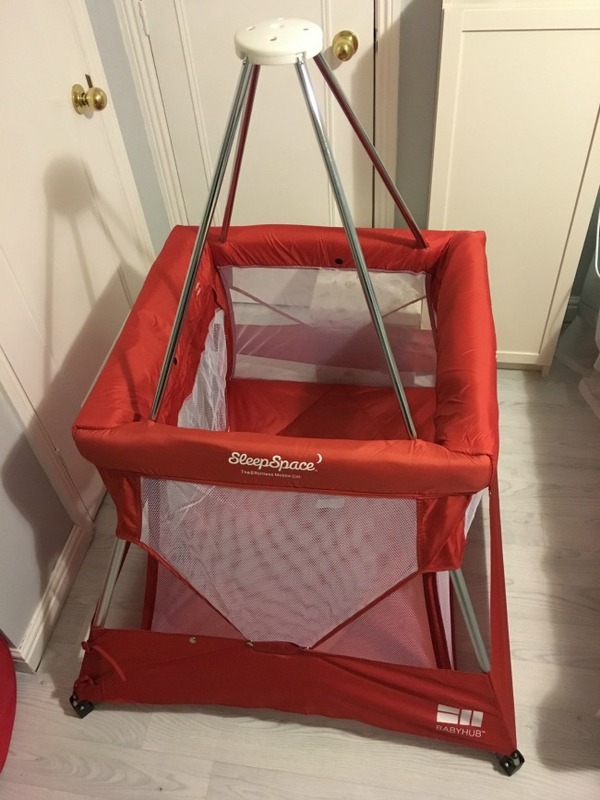 The BabyHub SleepSpace is lovely to look at but more importantly is well made, the quality is obvious straight out of the bag. At first glance it may seem expensive but it is not just a cot. 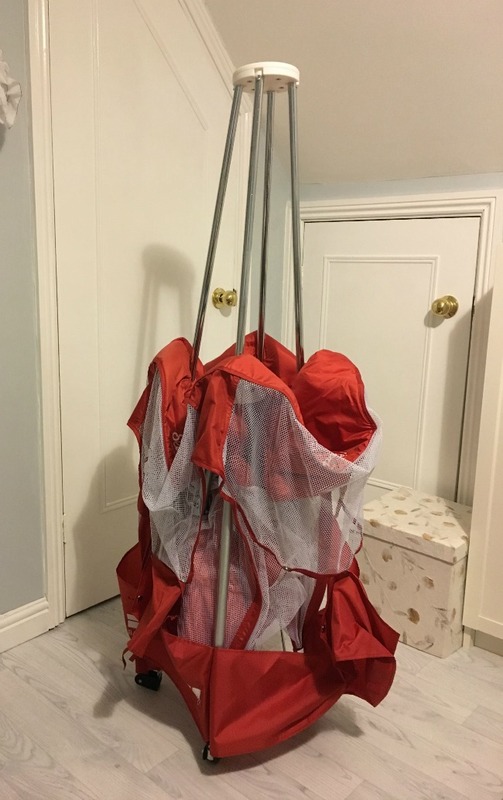 A Tepee alone can cost over £100 and this is a cot, a playspace and a Tepee, therefore extending it's usefulness and saving money and space on separate items. I wish I had known about it when Bear was a baby. *Disclosure - We were sent the cot for the purpose of a review. All opinions are honest and my own. These are such a great idea and are perfect for travel families. My children would probably be a bit big for it now, but it would be perfect for a smaller child. I can believe how easy this is to put up we always used to struggle with ours! This is so easy just pull and click. That sounds like a brilliant travel cot. The side zip is genius, nothing worse than hurting your back trying to get a sleeping baby in or out of one. And great that it turns into a teepee later on too! Sounds like a great little piece of kit! The side entrance looks great for older kids, we always had to lift ours on and out. What a cute travel cot. I love the compact design. So perfect.